And the quest for vegetables in everything continues. 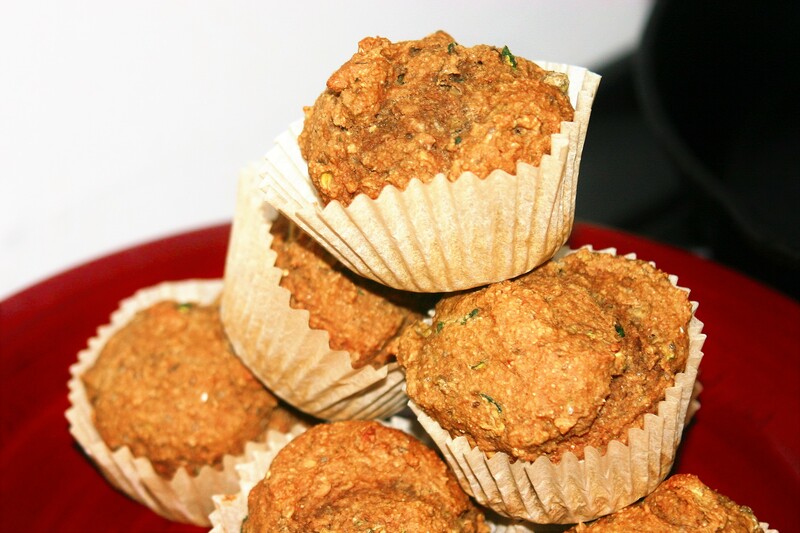 These are some delightful little muffins filled with vegetables, yet sweet and satisfying enough for an adult snack with tea. Whole grain, lightly sweet, nutritious, toddler and husband approved. I’m still on my pumpkin kick. Partially because my daughter loves the pumpkin pancakes so much I always have a half can of pumpkin in my refrigerator, and partly because it’s fall. Prepare a 12 cup muffin pan with paper liners or a light coating of oil and preheat oven to 375. In a medium bowl whisk together the flours, baking soda, spices, and salt. Stir briefly. Add the zucchini/carrots and pumpkin puree, milk, molasses, oil, and seeds or nuts if using stirring to combine. Divide batter evenly into muffin cups and bake for 20-23 minutes until a toothpick inserted in the center comes out clean. Remove from pan and cool a few minutes before enjoying.